996 Console Enclosure: This will directly replace the Bose console subwoofer with no modification to the car and using the same mounting hardware. Most stamped basket 8's will fit as well as the mighty 8W3 with a 1/4" spacer. This box can be easily mounted in Porsches that don't have the Bose sub installed with slight modification to the box mounting system. 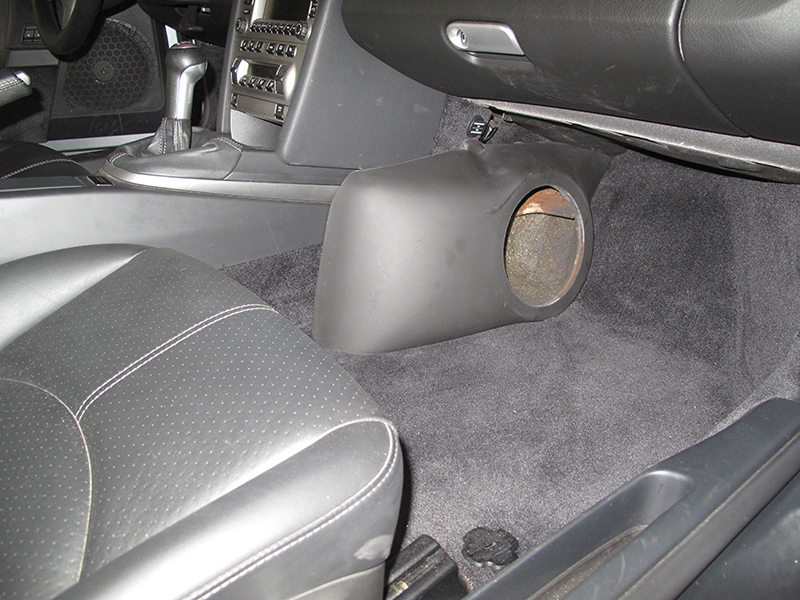 If your Porsche 996 or Boxter has a center console that looks like this (circle) our 996 Console Enclosure will fit. I recommend having a professional installer prepare and install this for you. We send it "bare" that is, no screws, wire, carpet. Multiple cross braces, 1/2in birch under mounting baffle and fits most steel and many cast basket 8s. 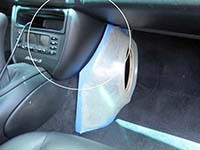 997 Console Enclosure:This will replace the Bose® console subwoofer with no modification to the car and even mount in cars that came without the Bose® console sub. If your Porsche 997 or Boxter has a center console that looks like this our 997 Console Enclosure will fit. I recommend having a professional installer prepare and install this for you. We send it "bare" that is, no screws, wire, carpet.